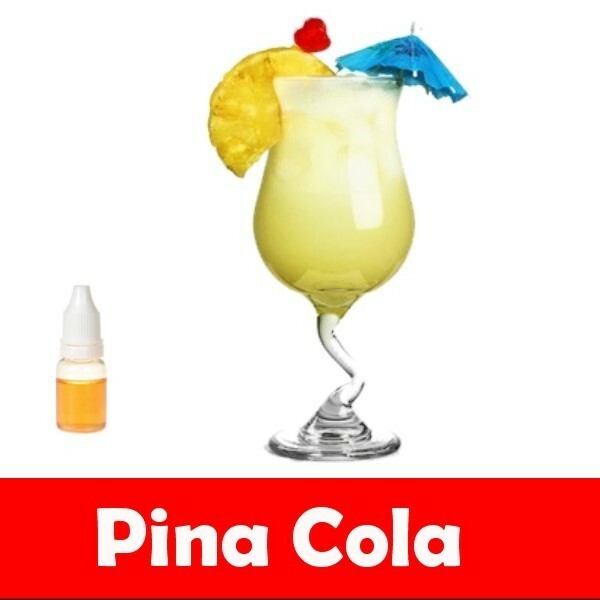 This e-liquid is an exotic Vape that tastes no less than a cocktail. It entices your senses and your taste buds. Slight undertones and overtones of coconut and pineapple encompass the exotic feel of a beach where you would unwind yourself with a Pina Col drink in your hand. Enjoy the thrill of this mesmerising flavour in your own unique style. Traditional. Also called a “MB,” this e-liquid flavour mirrors the taste of traditional tobacco ones. The flavour remains very popular and is the top seller in Australia among smokers who have made the switch to e-them due to the harmful smoke and chemicals of traditional tobacco. Menthol. For those who miss the cool, crisp taste of traditional menthol, this blend is a perfect substitute. Apple. The apple-flavoured e-liquid gives users—also known as “vapers”—a tart and tasty blast with every puff and a deliciously sweet finish. Banana. For those who like the mild taste and sweetness of fresh, ripe bananas, this e-liquid is guaranteed to satisfy. Butterscotch. Remember how much you loved the rich, creamy taste of your grandma’s sweet butterscotch pudding? If so, this premium e-liquid flavour is definitely for you. Cappuccino. The perfect vape with your morning coffee, the mild cappuccino-flavoured e-liquid has the rich, nutty taste of your favourite blend of coffee beans. Caramel. E-users with a sweet tooth will fall head over heels for the creamy, sugary taste of this caramel-flavoured e-liquid. Cherry. The candy-like taste of the cherry-flavoured e-liquid makes it the perfect after-dinner compliment. Chocolate. For the chocolate-lover—and who isn’t—this sweet and creamy e-liquid flavour is literally a godsend. Now you can have the rich, smooth taste of your favourite brand of chocolate any time you please, without all those nasty calories. Cinnamon. The cinnamon e-liquid offers a refreshing blast of flavour, much like a stick of cinnamon gum or cinnamon-flavoured hard candy. Many Users like to mix the cinnamon and menthol flavours together for a delicious fire and ice and sensation. The flavours above are but a sample of the many e-liquid flavours currently available at e-ciggy.com. Vapers can also choose tasty flavours such as clove, cola, mint, vanilla, fruit punch, grape, Irish cream, juicy peach, waffle cone and more. With so many tastes and flavours available, you may find it difficult to make up your mind. If that’s the case, no problem; you can simply choose a sample variety pack that will allow you to taste them all. Comment : Just perfect for holidays:-) Will buy it again! Comment : Better than getting a DUI. Comment : It's cocktail hour. Loving this one for sure. Rating(s) and review(s) : Pina - Reviewed by : david O - Rating 5 / 5 - Just perfect for holidays:-) Will buy it again!